Use a One-to-One Mapping to define a relationship with one-to-many multiplicity. 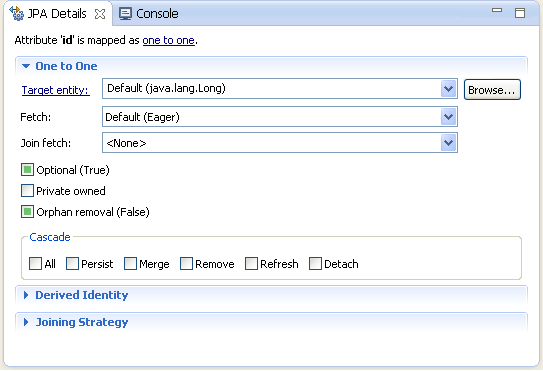 Right-click the field and then select Map As > One-to-One. The JPA Details view (for attributes) displays the properties for the selected. Complete each field in the One-to-One Mapping area.